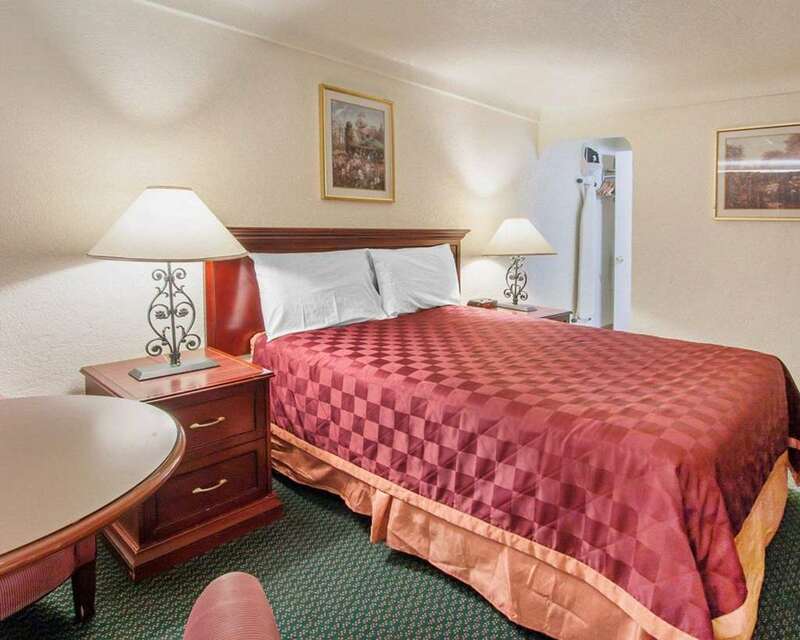 The Rodeway Inn hotel in Eugene, OR gives you an affordable place to stay you can rely on. We're near Amtrak, Hult Center for Performing Arts, 5th Street Public Market, Eugene Wine Cellar, Valley River Center and Gateway Mall. Enjoy our amenities that include free continental breakfast, free parking and guest use copy and fax machines. Each fresh, clean guest room features a Flat-Screen TV, microwave, and hair dryer. Also, earn rewards including free nights and gift cards with our Choice Privileges Rewards program.